Reduce glitter and easy to see even outdoors! "Anti glare film" is a liquid crystal protective film that reduces glare of glare such as sunlight and fluorescent light by special processing. Since the reflection of the screen is reduced, it keeps high visibility even outdoors or in places with strong light. It is hard to get dirty! It is hard to get scratched! Due to the fine processing applied to the surface, almost no fingerprints are attached. Moreover, it is hard to get scratched due to hard processing. Excellent operability. Ideal for games! Because the surface is smooth and finger slip is good, smooth operation feeling is realized. I want to enjoy the game as much as possible with iPhone X on the full screen! For those of you, "Antiglare film" is recommended. Please try it. A commitment design that fits perfectly on the iPhone X screen! 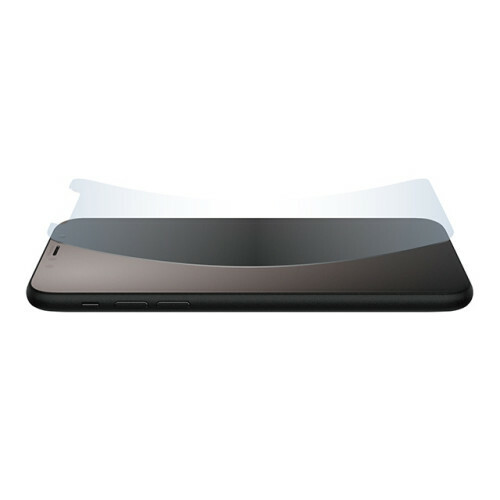 Also considering the cut shape of the screen, it is designed with the optimal balance for screen size and body size. In order to satisfy stringent design conditions, we stuck to made in Japan, and made it easy to use and screen protection at the same time. world's first! Adopted peeling film (PAT. P) that breaks by hand! It is difficult to adjust the sticking position of the film ... "In response to such a voice, I developed a completely new sticking method. The power support film is designed to easily tear off the release film by hand, and by partially fixing the position and fixing the position at the beginning, you can paste the film precisely where you want to paste the film. 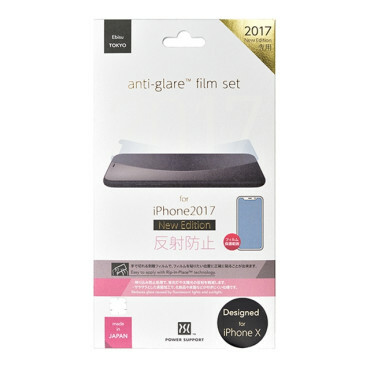 Glass protection range of iPhone X compatible film All film sizes are designed according to the flat part of the iPhone X's Super Retina HD display.